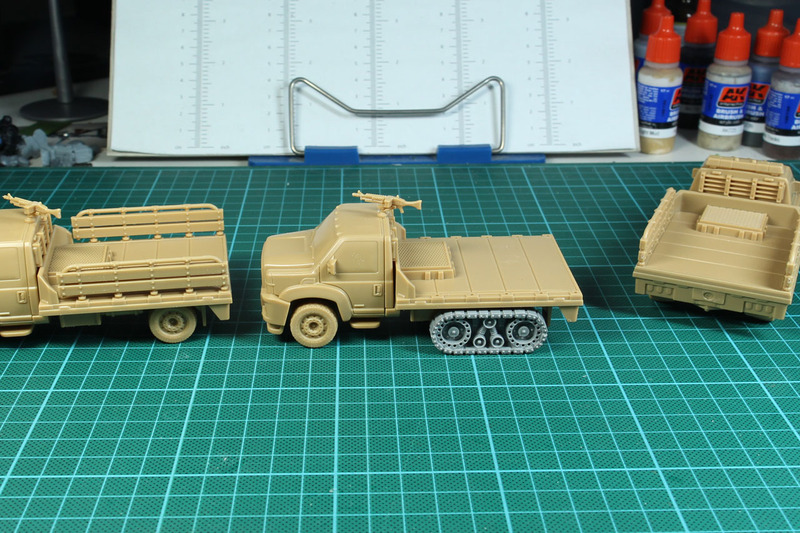 Mantic Games released for Mars Attacks these nice Trucks in 28mm scale. 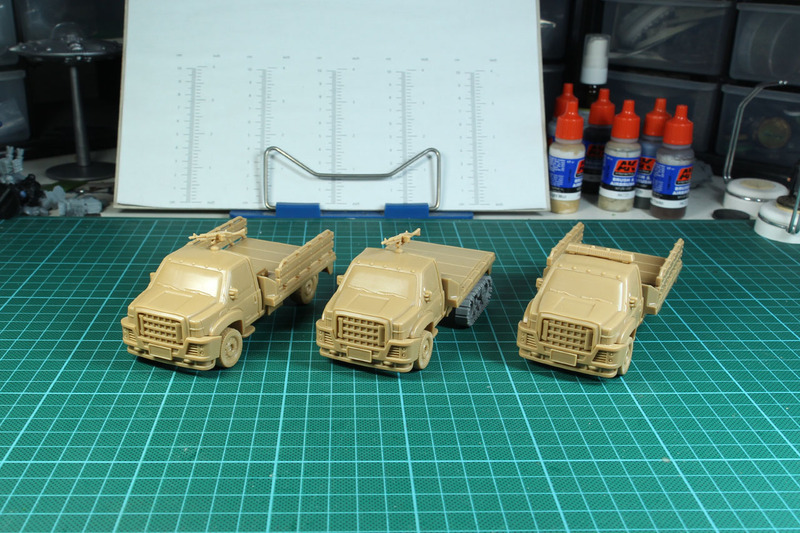 They are proper hard plastic, come in a sprue etc., no restic, no resin, straight forward good old plastic. I got myself a set of 3, for general purpose in Necromunda, Zombie Survival etc. 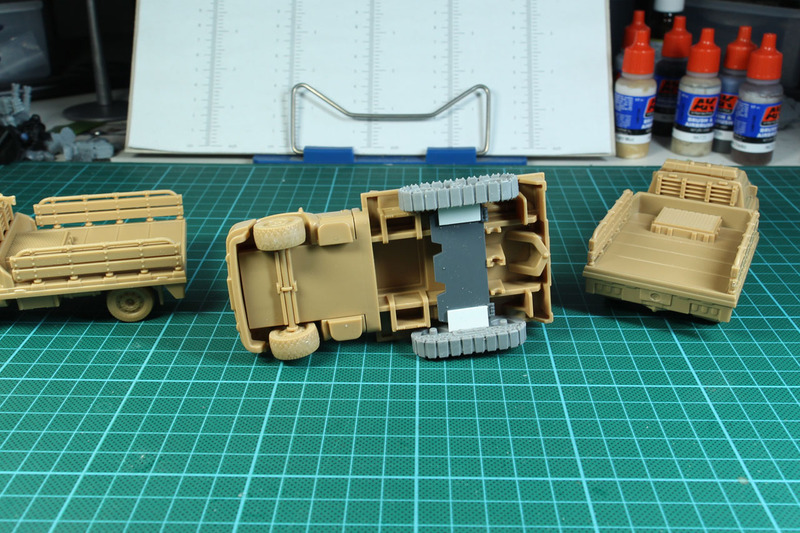 Unfortunately, one of the sprues was missing the second axle, so i thought ... well, i could scratchbuild it by using a plastic rod, but i had some tracks from an orc trackbike, works quite will. A quick picture from below to show you how i pinned those tracks to the truck. 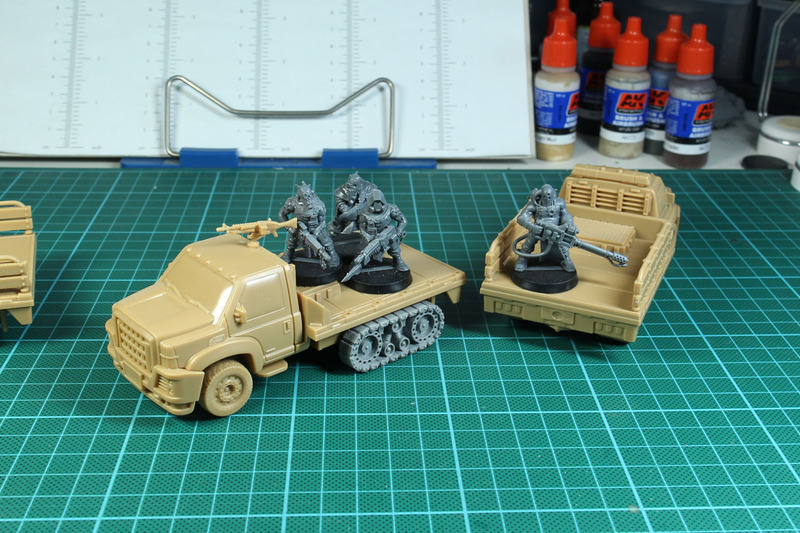 And they work quite well with the cultists as you can see, so these trucks are set for Necromunda / I-Munda / Inq28. A small sidenote, i am currently reducing the amount of projects, that i own and try to finish, to get a leaner amount of work and to be able to concentrate on the projects that are realistic and worth completing. For example, i sold off my ancient spanish Field of Glory army to a colleague from our local gaming club. So if you might be interested in on or more pieces of my collection, keep an eye on this blog.